Memo: Sent Payment 50.00 USD to account U18707019. Memo: Shopping Cart Payment. 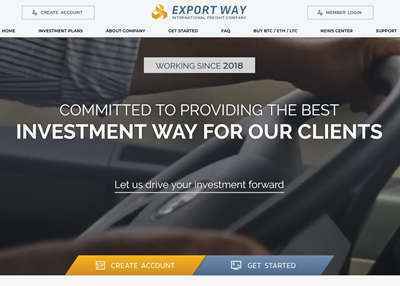 Deposit to Export Way Limited User monhyip. 05.12.18 19:12;Account;Receive;Received Payment 1.5 USD from account U18707019 to account U1294000. Batch: 238667342. Memo: API Payment. Withdraw to allhyips from Export Way Limited.